Thought I would start a build log of the Syren based on Chucks plans from MSW. The scale is 1:32 the orginial plans are 1:64. 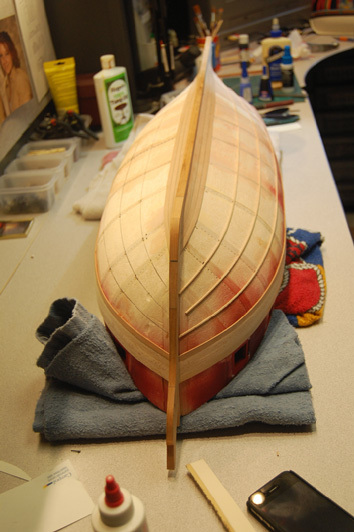 The hull length is about 41"
I started this awhile back, I work on it off and on. I usually have a couple of projects going on at the same time so nothing gets done real fast. Plus had (and still have) some medical issues (shattered ankle) which have put a real damper on things, but things are moving along now, just not as fast. Planking below the wales is pear, above is going to be boxwood, and the deck is going to be holly. The stem, stern and keel are cherry. 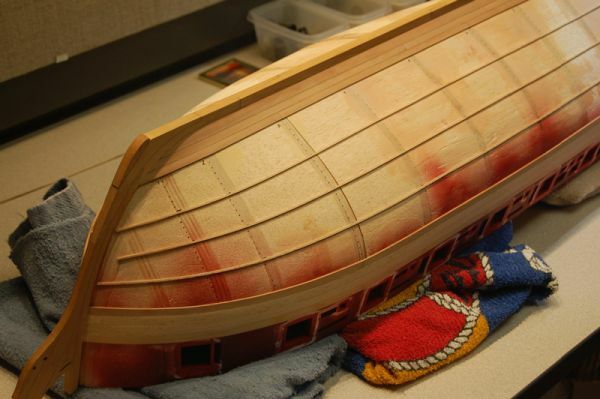 I did not like the red paint so I am lining the gun ports and oar sweeps with bloodwood. 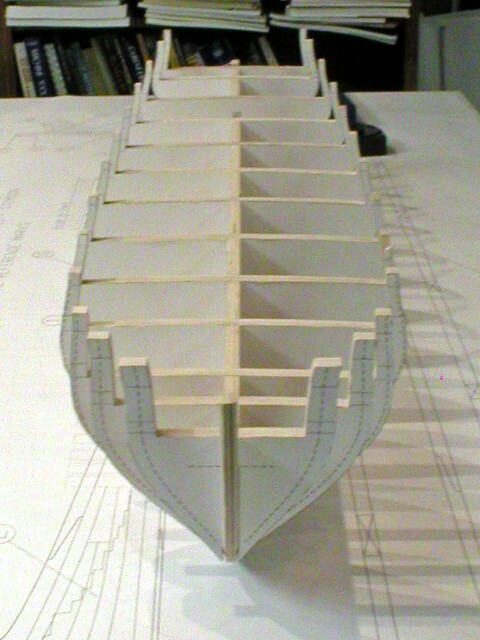 A change of plan which cost me much time, if I just did the lining to start with the planking would be done by now. 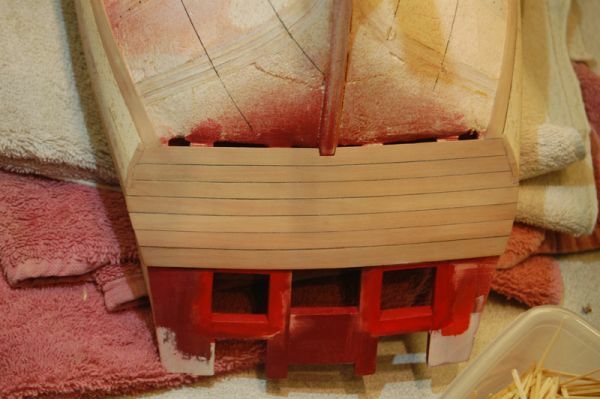 I must have painted and sanded the gun ports 4 times - I just did not like the shades of red that I used. I guess I just like the natural wood look. 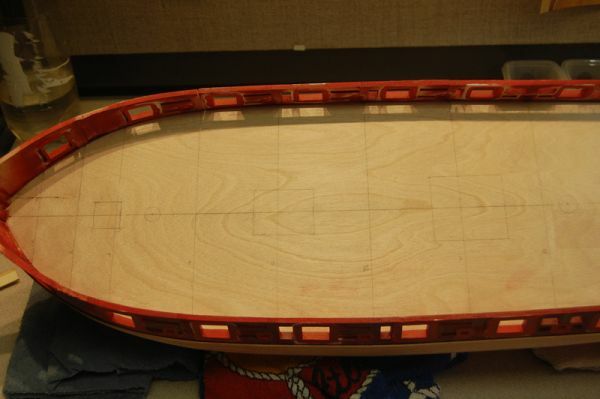 I have more planking done and some ports lined which are not in the pictures I need to take some updated pictures. Which I will try to do here in the near future.